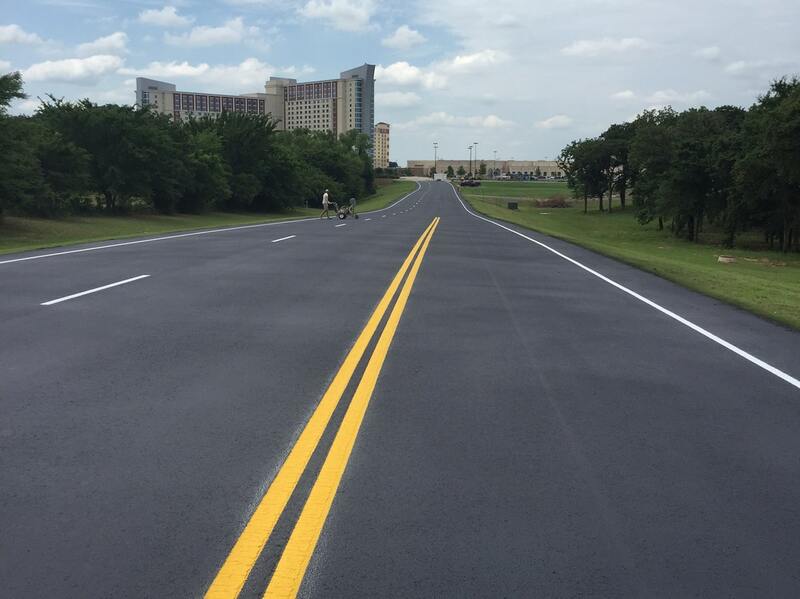 City Pavement based in Edmond, OK, made just one stop to GemSeal for sealer, marking paint, and reflective glass beads to complete the entrance road to WinStar Casino in Thackerville, OK. 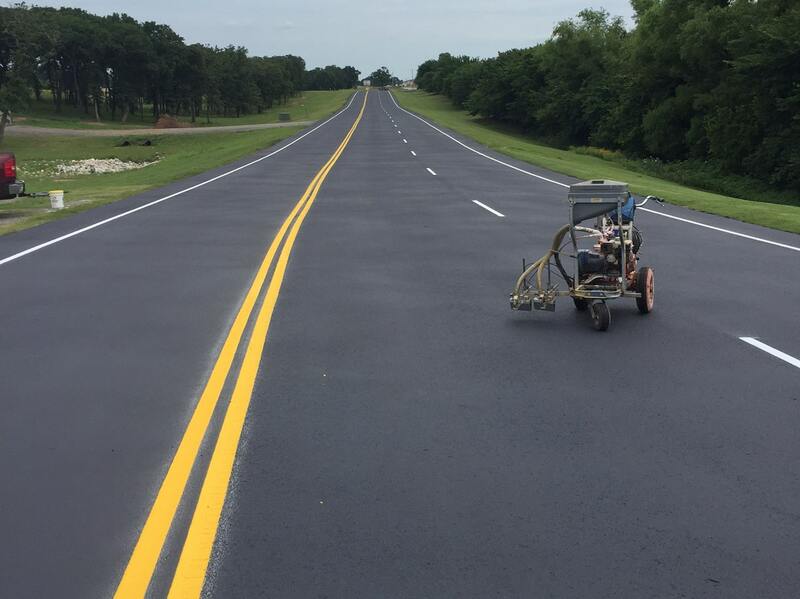 The road was sealed with three coats of Black Diamond and striped with Ennis-Flint DuraSheen® traffic paint. Swarco reflective glass beads were added to the lines to enhance visibility and create safer driving conditions. 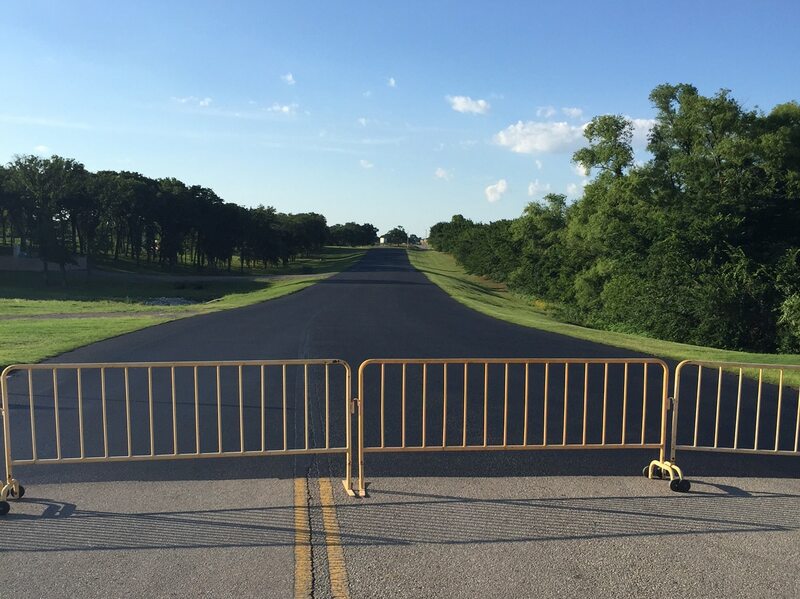 The contractor said this was one of the fastest roadway projects he has completed. In addition, his customer is very pleased with the results and the appearance, which is sure to attract a full house!